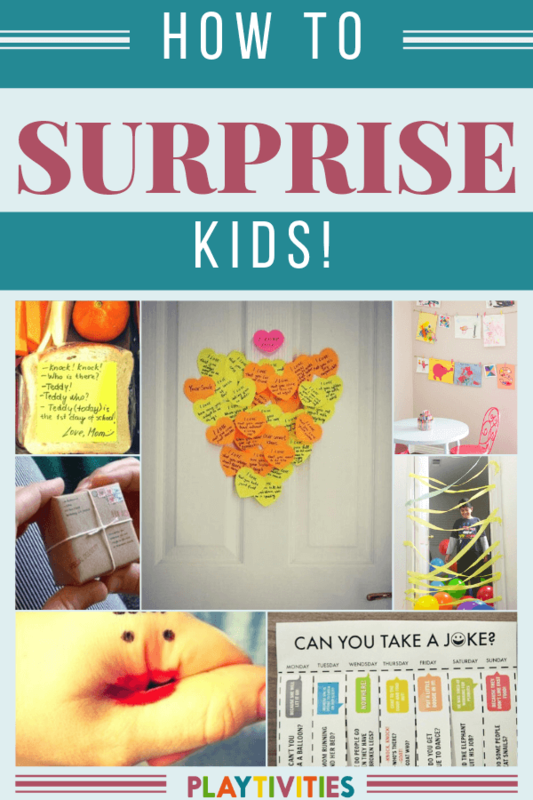 Surprises for kids have a really positive effect on family relations. But usually, the first thing in mind is that it takes a lot time and money to surprise your child. 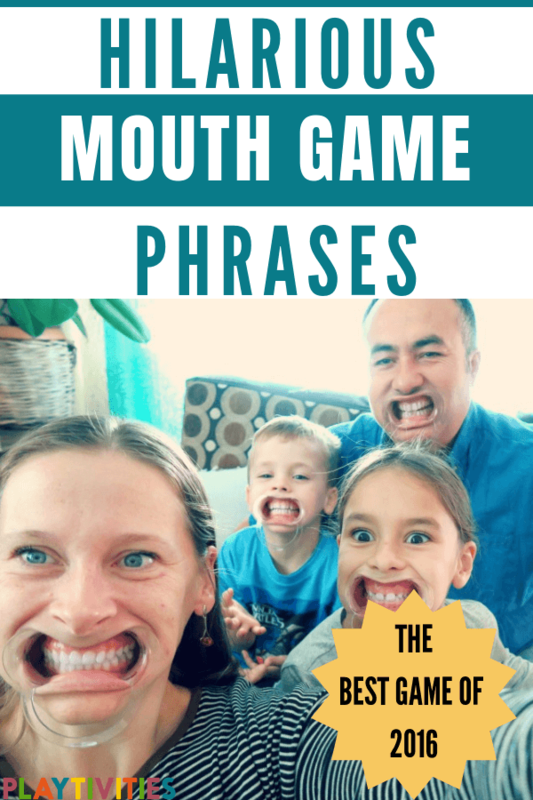 Also, you might be wrong presuming that only expensive gifts can make your kids’ jaws drop… It works if you simply arrange a prank for them or just the most simple and cute surprises at the times they least expect it. In truth, the power of surprises is attention to children and little magic during their day. So, here it is – 10 easy surprises for kids that make your wallet happy. Oh, and certainly it will stay in kids memory for a long long time! Well, are you on-board with me? 1. Can You Take a Joke? 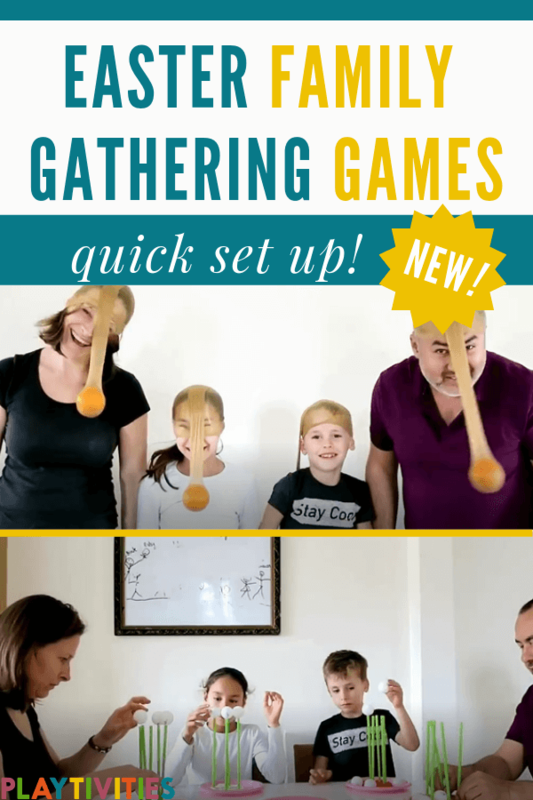 Gather up all the family jokes and combine them with different hilarious jokes! If one of your kids feel down, get one from the cut outs and they will surely feel great after reading it! 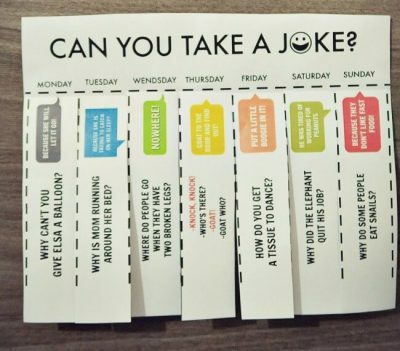 I suggest using my free printable sheet of jokes ready to be hanged on the door. It has 7 jokes for each day of the week and will make everyone giggle. Heart shaped letters are one of the best letters you can receive. You can feel the love, even without reading it yet. Write all sweet reasons why your child is awesome and why you love him/her and what are the things they do good. In this way, you can uplift their self-esteem and do more good things. 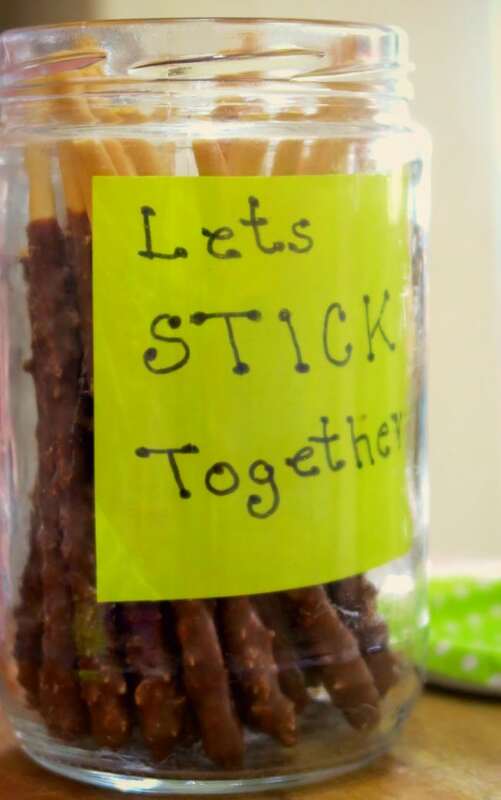 Chocolate sticks and pretzels are one of the best ways to uplift your children’s moods, well, it does work on adults too. Keep this jar with a note so whenever they feel down, they can get some chocolate treats! Before your kids wake up, make sure to blow up some balloons and paste it on their doors. 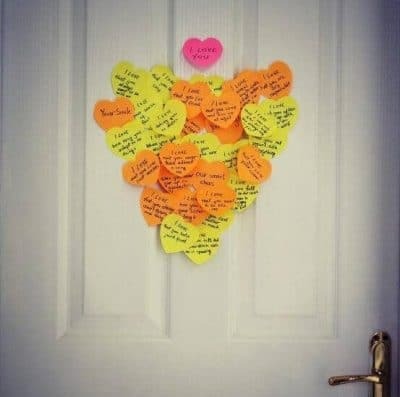 You can put sweet treats inside the balloons or just simple notes to make them feel great. A perfect example how it works and what reaction you can expect from your kid can be found here! 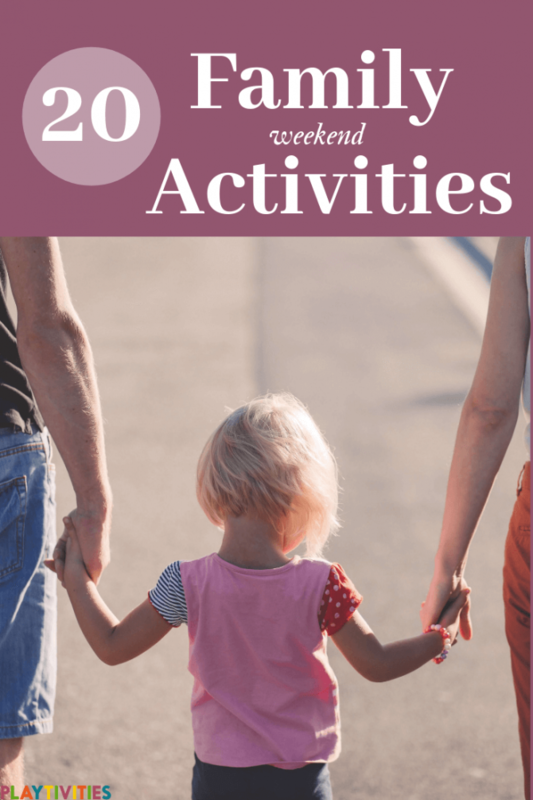 During long weekends and boring days where you don’t know what to do and you think you’ve done every activity you can think of, this hand drawing is perfect for you and your family! 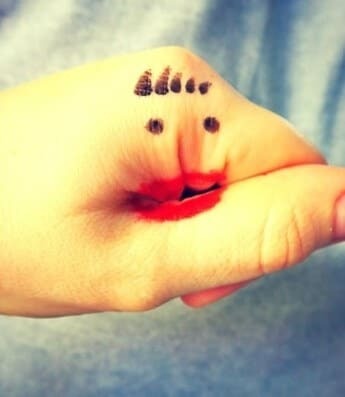 Draw faces of different characters on your fingers and pretend to talk using your hands. It silly, but I am sure everyone will enjoy this! This one work every single time. Put a little sweet note inside the pockets of your child’s coat or pants before he/she wears them to school. Kiddo will be tickled to find it in school. P.s. Have to admit, I use this one to surprise my husband too! Insert some jokes written on colorful pieces of paper before they head out for school everyday. Make them feel the Christmas spirit by giving them hints on how you will spend the holiday season. I’m sure they will have a great time at school and will come home with their mood up! I know you’ve collected lots of artwork from your kids throughout the year. It’s time to show them how they did this year! Save one corner of your home and make it as the Christmas, Valentines or any other holiday / occasion gallery. Every year, their artworks will be displayed and may the best piece win! Cute example can be found at designimprovises blog! If your kids still believe in Santa, put decorated mailbox on the first day of December. You can drop a letter everyday or every time they did a good deed. You can tell them that if they will be nice before Christmas, their wishes might come true! Every note can be different, depending on how they behaved that day. 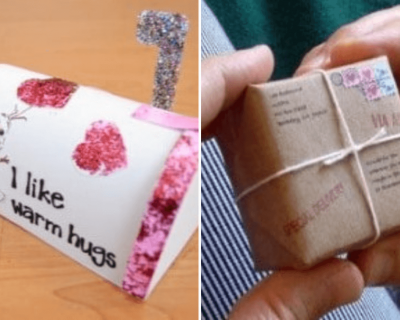 Grab some more ideas on how to make DIY mailbox and start to organize mail content for kids! One small box of chalk can bring hours of playing and drawing for your kids. Thelittlesandme has super ideas for a sidewalk with chalks and printable! Be ready with your cellphone or your camera to take pictures of their chalk art. You can add these to the Kids gallery, too! 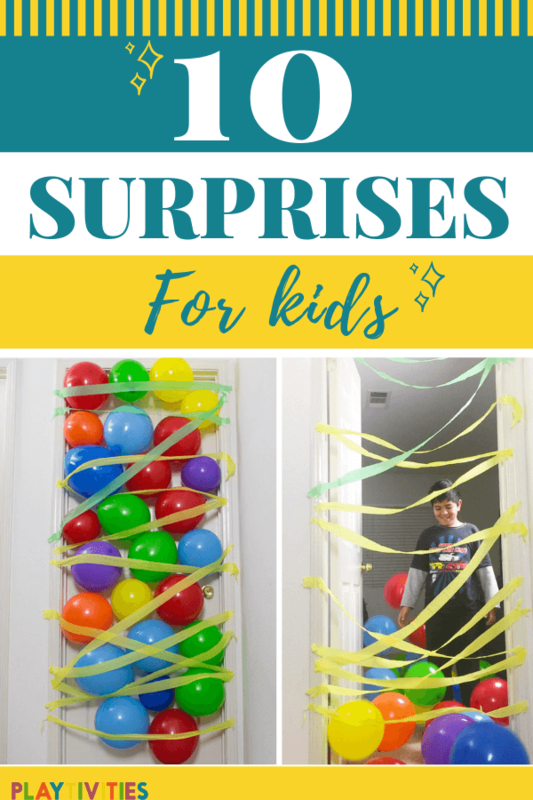 Plenty ideas for easy surprises! I would say, there is no limits regarding surprises ideas! 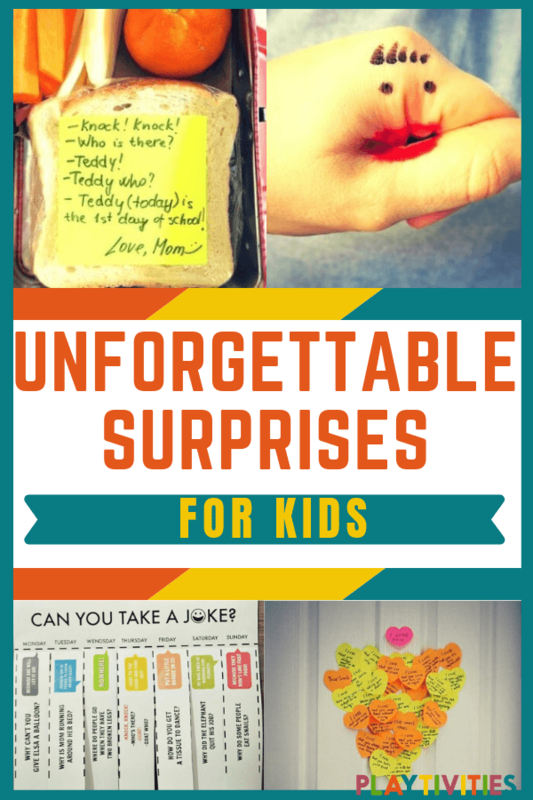 I was inspired by my kids excitement and emotions after each surprise, so I wrote an e-book about it! It’s filled with everywhere and everyday ideas that you can find right in your pocket! Looking for more? Grab some super fun ideas by clicking links below! 15 Surprises for your husband!